A headache by any other name is still a headache. 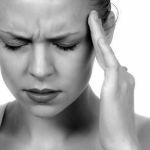 There are many reasons for headaches; so treatments will vary depending on the how and the why behind the pain. 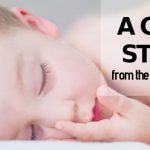 Many over-the-counter treatments only address the symptom – pain, whereas a more natural approach is designed to treat the source of the headache itself. To better understand which headache remedy is right for you, first work with your health care provider to determine which type of headache you have. Quite likely the most common type of headache, tension headaches are caused by stress and tight muscles in the neck and shoulders. One of the best methods for relieving tension is massage. A licensed massage therapist is trained to find the tension and work it out manually. Massage helps relax the whole body and ease tension. Be sure and make your massage therapist aware of your headaches and any particular areas of soreness. Aromatherapists and massage therapists alike often rely on pure essential oils to help both relieve stress andencourage healing. Essential oils are different from aromatic oils used in perfumes or candles because they are not synthetic, but derived naturally from the plants themselves. Some useful essential oils for headaches include lavender, chamomile, basil and lemon grass. These can be mixed with either a carrier oil such as almond oil, or a non-hypo-allergenic lotion base, and applied to the neck, shoulders and forehead. Sometimes chiropractic adjustments can cure the problem where other natural measures have failed. Because our muscles have “memory”, they will often return to the tight position they were in prior to massage. Chiropractic adjustments can help put the body back into proper alignment and correct the root of the problem. 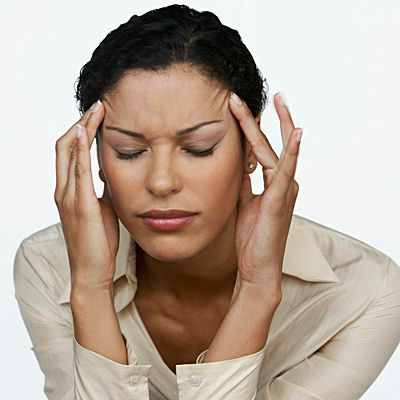 The exact cause of migraines is unknown, but they are extremely painful and frequently recur. To address both, the pain and the chronic nature of migraines, many turn to the popular herb feverfew. Feverfew is a natural analgesic and has been used for centuries to treat a number of painful conditions. In modern times it has earned a reputation as a natural remedy for migraines. The recommended dose for migraines is 100 to 300 mg, up to four times per day. Some migraines are related to hormone imbalance. 5hydroxytryptophan, or 5-HTP, is a naturally-derived substance that is a precursor to the hormone serotonin. Serotonin, also known as the “feel good hormone” also helps to balance other hormone levels in the body. It helps regulate sleep cycles and balance mood. Research shows that 5-HTP may also be effective in treating hormone imbalance-related conditions such as depression and migraines. It can be found either online or at your local natural health food store. Another effective treatment for migraines is acupuncture. Acupuncture is part of an ancient system of medicine from China, known as Traditional Chinese Medicine, or TCM. In acupuncture, fine needles are inserted into meridians, or energy channels in the body. According to TCM theory, when these channels are blocked, pain and illness can result. The acupuncture needles help to stimulate the meridians, relieve pain and facilitate healing naturally. Sinus headaches can be the result of a cold or flu, or even seasonal allergies. If your headache is sinus related, it is important to treat the source of the problem first. Once the infection or inflammation is cleared, the symptoms should resolve naturally. When it comes to sinus infections, one way to get to the root of the problem quickly is by steam bath. Steam helps open the sinus passages and allow fluid to drain. Adding healing essential oils such as eucalyptus, hyssop, clove and cinnamon can further attack the infection and promote healing. Adda few drops of the essential oil of your choice to a steam bath or room diffuser once or twice daily until symptoms subside. Herbs such as goldenseal and echinacea can help treat both sinus infections and seasonal rhinitis. Many natural over-the-counter cold and flu remedies contain a combination of these herbs. To treat sinus infections, take 500 to 1,000 mg of goldenseal, and 300 mg of echinacea, three times per day for up to seven days. Some food allergies can actually cause acute headaches. Typical culprits include allergies to caffeine, mono-sodium glutamate – or MSG, soy, eggs, peanuts and chocolate. If your allergist has determined your headaches are specifically related to a food allergy, it is important to avoid that food at all costs. Additionally, you can find which foods you are sensitive to through process of elimination. Avoid all food allergens, such as those mentioned above, for a period of one week. Then, reintroduce them into your diet, one each day. When you develop a migraine within 30 minutes of eating, you know you have found your trigger. You have a great weblog. I really like your style of writing. Keep up the good work! Headache are caused by many reasons some are serious of high blood pressure and chronic disease. Migraine feel like someone put the tennis ball in the brain pain.I think it is caused by the inflammation of blood vessels around the brain.When i had migraine i could not feel better even using paracetamol and it was lasted 2 to 3 days.Even i went outside in the sun for traveling i had headache and could not get up from my bed.At that time i was over weight and feel very tired while i climbed up the mountain and staircase.I started to learn by reading the health magazines and books and doing weight lose program. First i reduced the cholesterol level in my blood circulation and i became slim and feel healthy.Later there was no sign of migraine. The study said using the riboflavine can reduce the migraine than other pain release drugs. Eating the balance diets which has low fat diet and regular exercise make feel better from severely headache.You need to take care of normal blood pressure by diets and exercise,less stress can reduce the headache.If there is something disturbance in the blood stream of fatty plaque it may caused the headache.Avoid the deep fried foods and eating fresh green vegetables and fruits can make you more healthy.